Please find a list of restaurants, cafés, bars etc. in Heidelberg here. 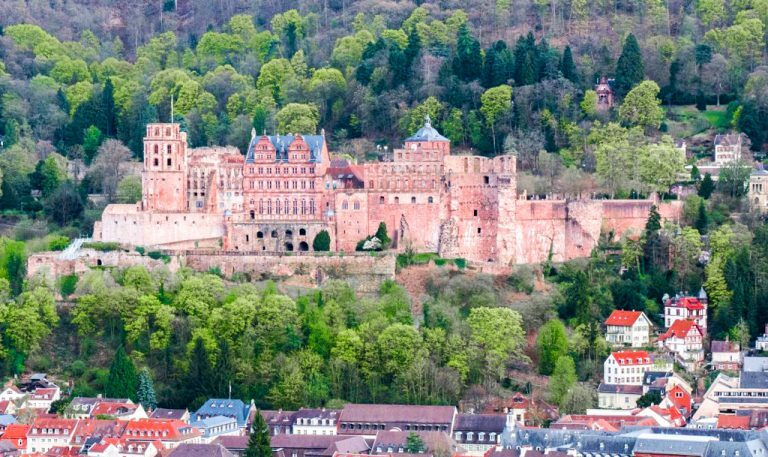 The world-famous Heidelberg Castle, which attracts around one million visitors every year, is representative of German Romanticism. You can do a guided tour and explore the buildings from inside; you can also simply take a stroll in its beautiful gardens and enjoy the wonderful views of the castle and the city. Click here for more information. 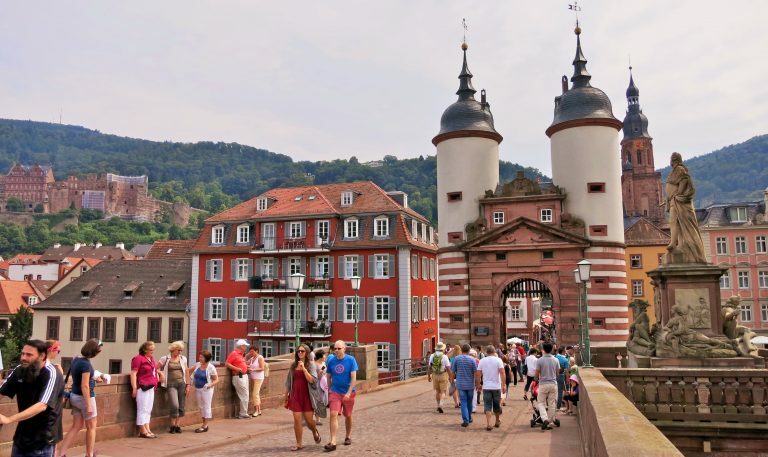 This famous stone bridge, which spans the river Neckar, attracts hundreds of visitors every day to stop for a few minutes and enjoy the view of Heidelberg Castle. However, not many people know that its real name is the Carl Theodor Bridge, after the man who had it built. On one side of the bridge, there is a bronze sculpture of a monkey. It is said that rubbing the mirror the monkey is holding will bring you good luck. Click here for more information. 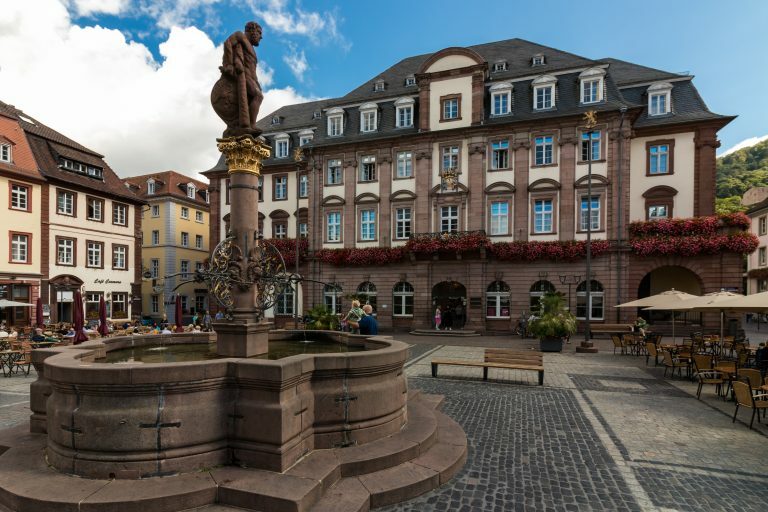 The name Philosophenweg, or the Philosophers’ Walk, can be traced back to the times when Heidelberg’s university professors and philosophers walked on this path and used the solitude of the place as a source of inspiration. 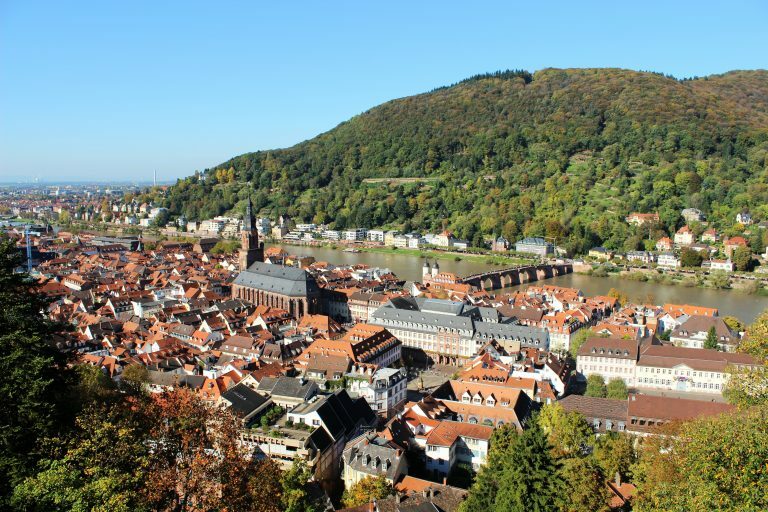 The Philosophenweg is located on the opposite side of the river Neckar from Heidelberg Castle. You can sit on one of the numerous benches and enjoy the unobstructed view of the river, the castle, and the Old Town. Click here for more information. Heidelberg is famous for its historical and university buildings, which are hundreds of years old. Notable examples include the Old University Hall (Alte Aula), the Congress Hall, City Hall, the University Library, the Students’ Prison, and the Marstall Café. Click here for more information. Heidelberg has a long tradition of strong commitment to sustainable development. Heidelberg's new Bahnstadt district represents the world‘s largest passive-house project, for which the city obtained the international Passive House Award as the 2014 Passive House Region of the Year. One year later, in 2015, Heidelberg was awarded the Global Green City Award for its significant contribution to sustainable development.